After completing his sentence in 2038, #JoranvanderSloot must leave Peru. #JoranvanderSloot is now addressing the court. 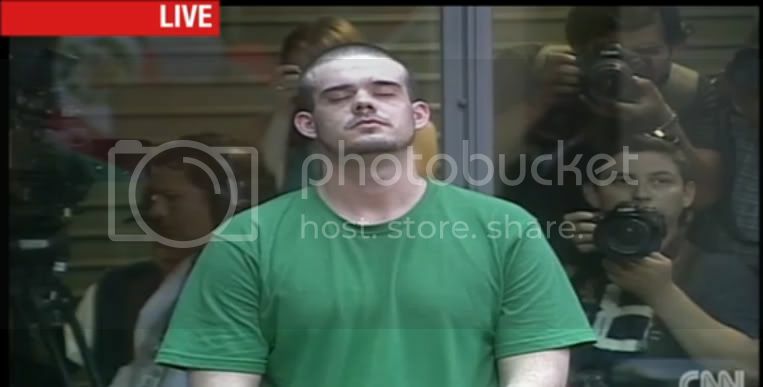 #JoranvanderSloot's sentence will end in June 10, 2038. BREAKING NEWS: #JoranvanderSloot sentenced to 28 years for the murder of Stephany Flores. #JoranvanderSloot must pay 200,000 PEN or $74,000 in US currency for civil reparations to Stephany Flores’ family. June 10 2038 is his release date. He won't make it that long. If he does, the court imposed a mandatory expulsion from the country AFTER he serves the sentence. #JoranvanderSloot leaves court after being sentenced to 28 years for the murder of Stephany Flores! TY all for live feed links! 26 years is great! Would have liked life but this is so much better than 10 years! It'll be life, IMO. He's not walking out. He'll be carried out. They're making the point on InSessions that Joran looked about to cry when the court was discussing his charges; not when discussing the injuries and crime against Stephany. I wonder if he will stay in his little protected area, or be moved to the general population. I hope he is moved, like today! he also looked pizzed off...wonder why he is not in shackles..
Ricardo Flores making the point that jail should be something to make you reflect, not a five star hotel. I'm very sure............ very sure, that Joran's perks are coming to an abrupt END! Pleading "guilty" helped him--the 2 year reduction from 30 years. Therefore, 28 year sentence. Joran van der Sloot has been sentenced to 28 years in prison after pleading guilty to the 2010 murder of a 21-year-old Peruvian woman he had met at a casino in Lima. Van der Sloot was also fined roughly $74,000 by a three-judge panel in Lima for the murder that took place exactly five years to the day after the disappearance of American teen Natalee Holloway in Aruba. Joran folded his arms and totally shut down as that figure started to sink into his fat head. Page created in 10.1 seconds with 20 queries.